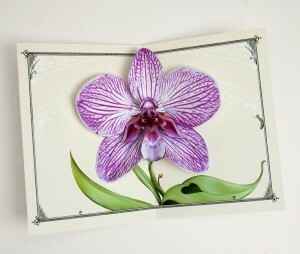 What Would You Say if You Received An Orchid Card that Looks Like THIS? Ryan: First, we have to ask, what is a Crankbunny?! Norma: A Crankbunny is tall tale of a magical type of fish that is half fish (duh) and half rabbit. It is rare type of aquatic being that inhabits waters found only in a handful – well, lets just put it as a couple – locations in the world. If you happen upon this viable and potent fish – the best thing to do would be to remain still, refrain from direct eye contact, and maintain very low tones. This type of fish only responds to subtle movement, delicious odors, creative bursts of freedom, and copious amounts of slumbering sleep. As an artist I identify very strongly with this fictitious fish. Ryan: How long has Crankbunny been in business? How did it come about? Do you do this full time? 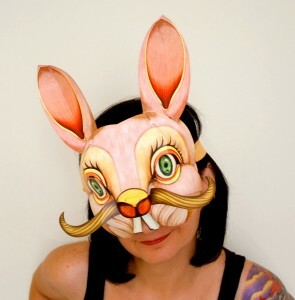 Norma: I have been working under the Crankbunny name as an artist, animation director and paper artist since 1999. I have always liked the the idea of hiding under a handle (and still do somewhat) because it can be whatever it wants to be. It forces people to fill in what they think Crankbunny can mean which is more interesting than my name or a photo of me. In the beginning I had a full time job as an art director and designer at various advertising agencies in NY and LA, but eventually the animated and paper Crankbunny work became my primary focus. Ryan: Can you tell us a bit about your 3D pop-up Phalaenopsis Orchid cards? How much time goes into creating each piece? 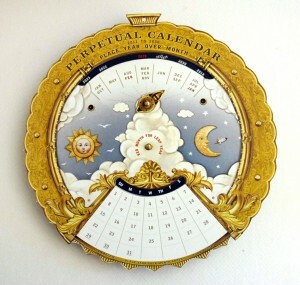 Norma: A large amount of time goes into researching the subject matter when creating a pop-up card. 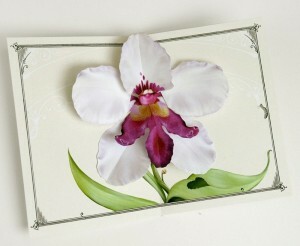 For the orchid cards, I spent almost two weeks looking at photographs of orchids. I also attended a huge Cuban Orchids show at the New York Botanical Gardens that was occurring at the time. There I took my own photographs and also had a chance to really look at their structures. It was important to understand how they are built. Is there a fundamental structure to an orchid (or structures)? What’s the most visually important part of the orchid? 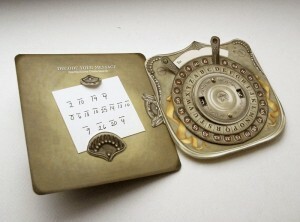 How can I translate this into a pop-up card? Which ones do I think people will respond to the most (remember not all folks get the funky charm of a funky Alien Paphiopedilum). Which ones do I like the most? That was the hardest part, I liked so many of them!!! This is why eventually the Orchid pop-up cards became a series. After all that incubation happens, I do the actual artwork and pop-up build for the card. Once the art is printed – the rest becomes busy work. I cut and put together all my cards myself with no outside help. It is important that I do not go overboard and create a card that takes an hour to put together. I’ve learned this the hard way. Ryan: Where did the inspiration for the pop-up Orchid cards come from? Are you an orchid grower? How many orchids do you currently have? Norma: My mother is a huge orchid lover and I grew up with them. She has a green thumb — where I do not — so I’ve always had a huge appreciation of her ability to grow orchids and care for them. My fondest memory growing up was being able to choose my own orchid first for her greenhouse. She still has that orchid (well generations later of it) in her collection. She is based in South Florida on a lake where it is nice, humid with a good airy breeze. Norma: These are tips based on my mother’s antics. In general, an orchid likes moisture (but not too much – because of mold and rot). Clean air, nice breezes for exposed roots. Shade. A fundamentally strong orchid is a good happy orchid in the long run. A strong orchid will have strength to bloom wildly (especially if you’d like multiple blooms). Give the orchid the space and chance to climb and latch on to what it wants. A little help with some loose wire doesn’t hurt either. My mother tends to keep her orchids growing in trees or palms now. They start off in a rock / moss type planter, but she really enjoys the orchid moving on and propagating into the landscaping if they can handle it. They still require tricky maintenance though when they are exposed to different elements they wouldn’t get exposed to in a greenhouse. Since “her orchids are strong” (her words, not mine), they can usually take the abuse. If not, she has the patience to remove them and start all over again in a planter. 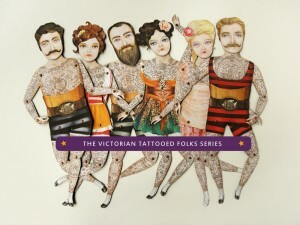 Norma: The most popular items are the custom secret message pop-up cards and the paper dolls. Each have their own type of magic that appeals to people in different ways. The ability to give a card that has a secret message with someone’s name in it – so it is specifically handmade for that person – is extremely powerful. It makes someone feels gratitude and feels genuinely unique on a special occasion. That is what a greeting card is supposed to do! The paper doll’s popularity were a surprise. I learned how to make articulated figures from working in stop-motion and cut-out animation – so they weren’t some sort of hobby I had from a childhood. People seem to love them because they are free to make up their own story for them. Once you start posing them and moving them around, your brain automatically switches to ‘playtime’ mode. Ryan: What’s the most rewarding thing about sharing your Crankbunny goods with the world? Norma: I’ve worked in other fields and mediums that lacked the intimacy I get from making my paper creations available to anyone on a one to one basis. People can actually touch and play with my objects. They can place it around their homes and it becomes part of their life. It is extremely touching when someone uses a card for a marriage proposal, announcing a new birth or surprise get-away trip. It is very humbling to know there is joy associated with what I’ve created.. Working under the name Crankbunny, Norma V Toraya is an animation director and paper artist who creates handmade pop-up cards, novelty toys and paper puppet dolls that will make you feel special and playfully delighted. Be sure to check out her shop by clicking here. 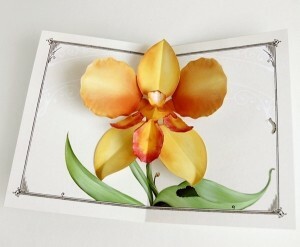 And remember, by signing up to the Green Thumb Club today, you’ll save 25% off any Orchid pop-up card(s). After becoming a member, you’ll get access to a special coupon code (not available to the public) which you can use to get the discount off the site.